Leaders are everywhere. Good leaders are plenty. Great leaders are rare. If we can distinguish which leaders belong to which category, we can also learn to better ourselves as leaders. Every team deserves a great leader. According to Leadership Professor James R. Bailey at the George Washington University, there are four types of leadership: vital leader, amiable leader, maleficent leader, and vacant leader. Each type has different levels of force and direction. A vital leader has both force and direction. An amiable leader has direction but lacks force. A maleficent leader has force but lacks direction. A vacant leader has no force and no direction. Ideally, a great leader is an amiable leader of the highest quality. He or she has both strong force and strong direction. And there are at least 5 ways that you can discern among various types of leaders. First, a great leader shows you what you’re capable of doing. A good leader shows you what they can do. In other words, a great leader is selfless and unconditional. They help followers to find greatness in themselves. Second, a great leader makes you believe that you’re great. A good leader only tells you that you’re great. The difference, thus, is a great leader doesn’t merely convince you that you’re great, but also truly instill the belief in greatness and changes a follower from the inside out. Third, a great leader disrupts. A good leader builds. Today, only the most innovative survive. In the land of leaders, this translates to the most disruptive. A great leader innovates and disrupts, not merely builds something out of nothing. The latter might sound impressive, but many people can do that. Being disruptive takes ingenuity, innovation, and the courage to be different. Fourth, a great leader takes the hit when something goes wrong. A good leader finds a culprit or an excuse. You know that you’re in front of a great leader when he or she accepts hits when something goes wrong. He or she doesn’t blame others nor excuses. Fifth, a great leader turns his and the team’s weaknesses into strengths. A good leader finds solutions to their weaknesses. No team is perfect. A good team is when every team member knows their strengths and weaknesses. A great team is when everyone can work together under a leadership to turn weaknesses into strengths. When you’re a leader, aim at being a good leader first. When you’ve become one, level up by being a great leader. Everything takes practice, including leadership. It takes ingenuity, innovation, and courage to see beyond what’s presented to you. A great leader is someone who doesn’t think high of him or herself. Everything is for the betterment of the team, and every team member is special and capable. Using this “great leader mindset” itself require a strong passion to make a difference. At last, being a great leader requires someone to live an authentic self and be ready to serve others wholeheartedly. After all, being a “great leader” actually means being a “great person” from the inside out. Jose Ruiz serves as Alder Koten’s Chief Executive Officer providing vision, strategic direction and the roadmap for the firm’s future. He is also involved in executive search work focused on board members, CEOs and senior-level executives; and consulting engagements related to leadership and organizational effectiveness helping clients create thriving cultures. An important part of his time is spent on research work focused on organizational effectiveness centered on leadership and culture. 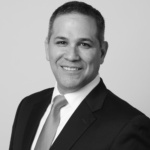 Prior to joining Alder Koten, Jose was a Principal with Heidrick & Struggles’ Global Industrial Practice based in Houston, TX and Monterrey, Mexico. His professional experience also includes leadership positions in engineering and operations management for manufacturing organizations in the US and Mexico. This experience includes serving as vice president and general manager at Holley Performance Products. Jose is a bi-weekly contributor at Forbes.com.mx writing about executive leadership and career development. Jose holds a master’s degree in organizational leadership from Gonzaga University and a bachelor’s degree in mechanical and electrical engineering from the Instituto Technologico y de Estudios Superiores de Monterrey. He is fluent in English and Spanish. The firm was founded in 2011 and currently, includes 6 partners and over 28 consultants in 4 cities. The firm’s headquarters are located in Houston and it has offices in Guadalajara, Monterrey, and Mexico City with partner firms in New York, Boston, Chicago, Australia, Belgium, Brazil, Canada, Chile, China, Denmark, Finland, France, Hong Kong, Italy, Germany, Netherlands, New Zealand, Norway, Poland, Russia, Spain, Sweden, Switzerland, Turkey, and United Kingdom. We know where to find the executives you need and how to attract top talent to your organization. Our approach to executive search is based on a thorough understanding of the strategic, cultural, financial and operational issues our clients face. Our executive search engagements are targeted and focused on the specific requirements of the position including industry and functional experience, skills, competencies, cultural fit, and leadership style. Our process is rigorous. We take a disciplined and structured approach to identifying potential candidates that meet the position requirements including subject-matter, functional and regional expertise. We use our high-level professional networks, industry knowledge, and internal research resources to achieve results in every executive search engagement. Jose Ruiz is also involved in executive search work focused on board members, CEOs and senior-level executives; and consulting engagements related to leadership and organizational effectiveness helping clients create thriving cultures.